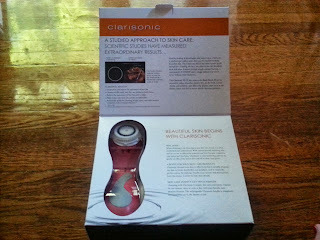 I purchased the Clarisonic PLUS back in July, so I've been using it for 3 months now. 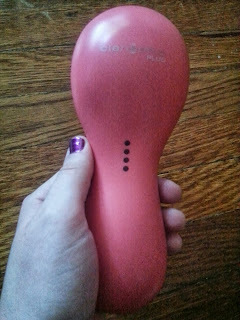 I wanted to test it out for awhile before giving it a review. As you all know I had been debating between getting the PLUS model or the Mia2, but after much debate I ended up going with the PLUS. And I am so glad that I did!! A sneak peak of the device! It came with one body brush head to get you started. So far I've only used it in body mode a handful of times. I find that after it's fully charged it works wonders in body mode. 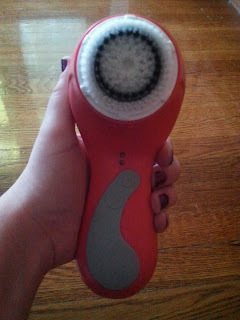 But the other few times I've tried to use this mode, the Clarisonic would shut off on me shortly into the cycle. 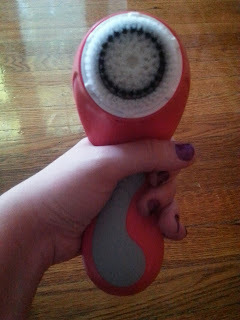 So I've been mostly using it as a facial brush. While there are a few others who seem to have had this issue according to reviews online, multiple people have not had any problems with their Clarisonic. You can choose from a variety of interchangeable facial brush heads, but this model came with a Sensitive Brush Head. Other brush types you can use include Normal, Delicate, Deep Pore, and Acne. The sensitive brush head is good for beginners who may be sensitive to other brushes. I really liked the brush head-it's nice and soft. 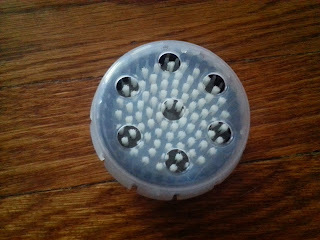 I am looking forward to trying other brush heads and seeing how this one compares to the delicate brush head. 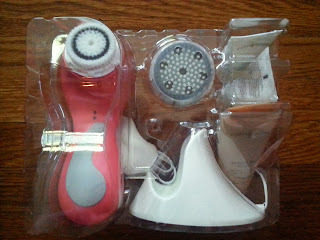 This set came with three facial cleansers and one body cleanser. 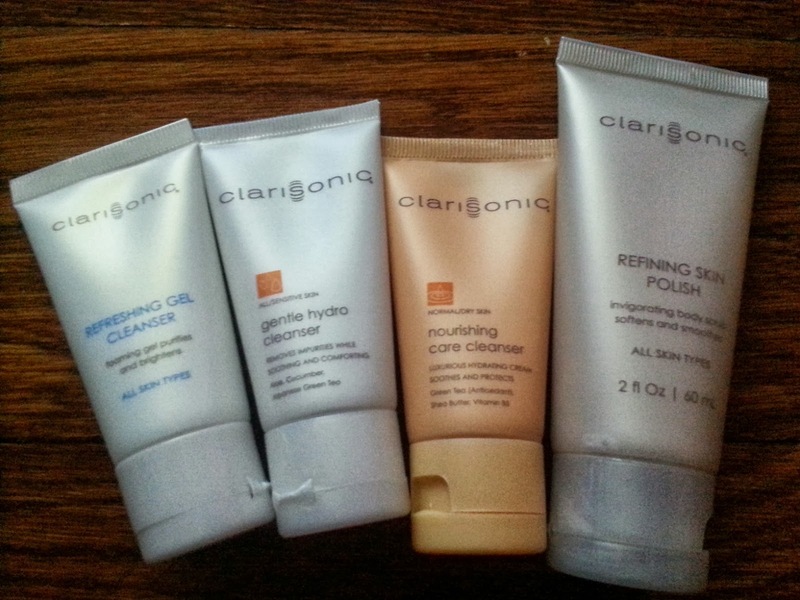 I absolutely loved the Gentle Hydro Cleanser and Refining Skin Polish. And the Nourishing Care Cleanser smelled like Fruit Loops!! It was nice for them to include some sample cleansers, but you can use any non abrasive cleanser with your device. After I finished using all three trial cleansers, I've been using it with my own cleanser and they work well together. The Mia2 comes with a Universal Voltage Charger while the PLUS came with a Universal Voltage Charging Cradle. I like that mine came with a cradle to hold my Clarisonic instead of a wall plug-in because it's nice to have a place to store it when it's not in use. The Clarisonic will beep and flash to let you know it is time to charge your device. The Mia2 has a 20 minute battery life while the PLUS has a 30 minute battery life with the facial brush and 20 minute battery life for body brush. It's nice to know I get a little bit more power from my model! One thing that I had a hard time with when deciding between the two models was knowing exactly how large the PLUS model would be. I had researched the models online, but it was hard to find a side by side comparison. I had heard that some people thought the Plus was bulky to hold, so they preferred the Mia2. But I actually found that it fit quite comfortably in my hand, making me wonder if the Mia2 would have been too small. Some time later I got to take a look at the different models at an Ulta, and it confirmed that I had made the right decision. I was happy that I went with the PLUS because the Mia2 definitely seemed more travel sized, a bit small for my taste. The two models have a slight difference in speed settings. While both contain a low and normal speed, the PLUS also contains an additional high speed. I really liked that this model has a T-Timer on it. You don't have to worry that you aren't spending enough time cleaning a particular area because it beeps and pulses momentarily to let you know when to move on to the next zone. The Mia2 also has a 1 Minute T-Timer. 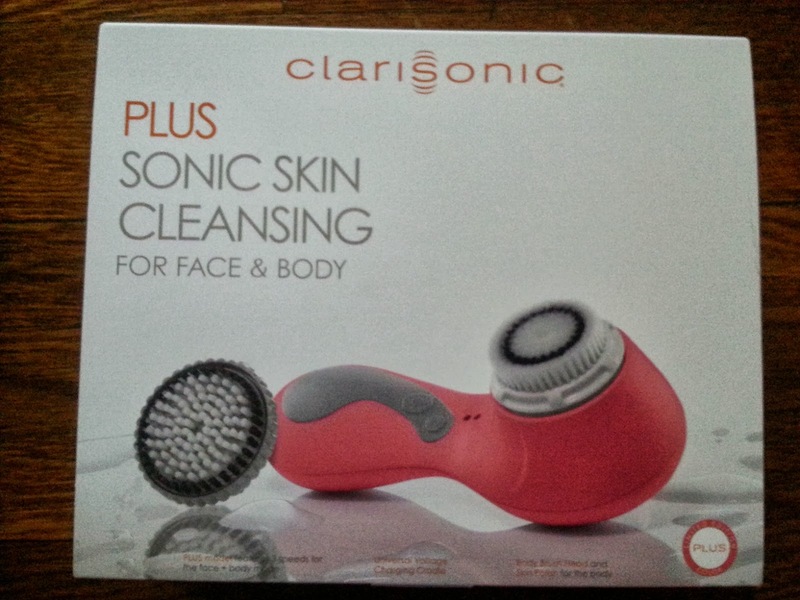 For anyone looking for a recommendation on whether to buy a facial cleansing device, I'd definitely suggest getting the Clarisonic because it oscillates at a sonic frequency to give you a deeper clean. I personally prefer the Clarisonic Plus because it also has a body mode and you can purchase it online unlike the PRO model. 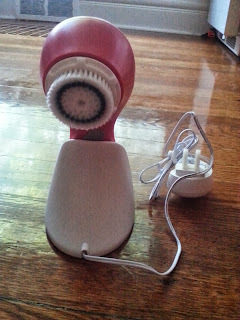 I am quite happy with my Clarisonic device and highly recommend researching all your options to find the best one to suit your individual needs. 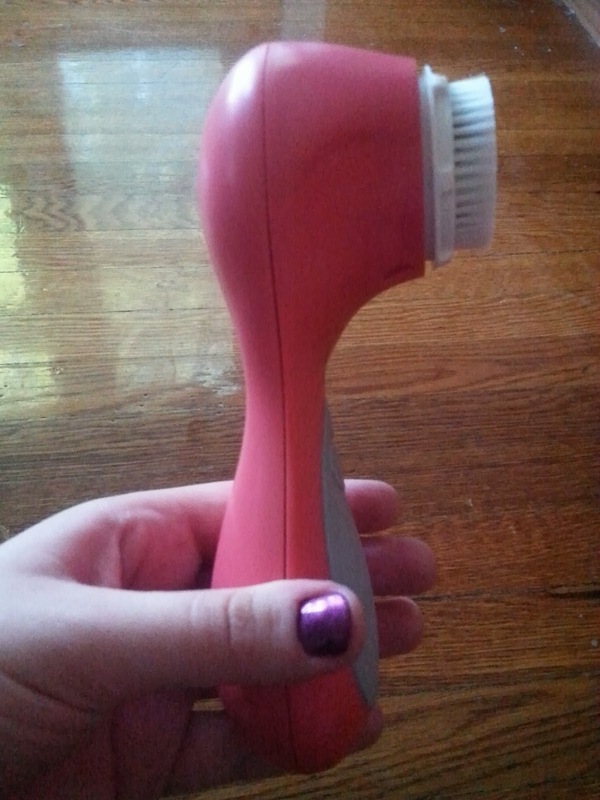 Do you own a Clarisonic? If so, which model do you use? If you don't own a Clarisonic, would you purchase one or another facial cleansing device?